Never have we met someone that isn’t a fan of our ultimate avocado on toast; chunky sourdough bread, smashed avocado and roasted chickpeas – topped with two perfectly poached eggs, what’s not to love?! We’re firm believers that the best dishes are made using the freshest quality ingredients which is why we use Heritage Breeds Copper Maran free-range eggs on our menu. We caught up with the team to discover more about the brand and how their Hen Whisperer sorts the eggs to ensure ultimate freshness. For anyone that doesn’t know, what is Heritage Breeds and what do you produce? Copper Marans – An impeccable brown egg from the famous French Marans hen, these eggs have a distinctive dark brown shell. Inside you will find a deep orange yolk and delicious egg whites. Royal Legbar – A beautiful pastel colour shell hen egg from the renowned Legbar family, descended from the rare Araucana hen breed, can appear pale blue or occasionally green in some light shades. Once the strong shell is cracked you will find a deep orange yolk and scrumptious egg white. Gladys May’s: Duck eggs are roughly 50% larger than hen eggs and have beautiful, strong porcelain white coloured shells and rich yolks. Speckled Quail: These stunning quail eggs from the brown & golden Coturnix breed are small and delicate. Each shell is unique and is covered in brown and pale grey speckles. How do your hens differ from those that produce eggs found in supermarkets? Heritage Breeds provides people with a wider choice of speciality eggs. Heritage Breeds is unique in its belief in the benefits of better breeding, combined with higher welfare standards. It is also the only British brand to feature the famous deep brown egg from the French Marans hen breed. And only Heritage Breeds speciality eggs come with the British Lion stamp of approval, for the highest standards in quality assurance and traceability. What are the core values of Heritage Breeds? To provide consumers with impeccable tasting and looking speciality eggs. To inspire consumers to experiment with several types of speciality eggs so they can see and taste the difference compared to when they use standard free-range hen eggs. We also want to teach people that they should expect food that is created using speciality eggs whenever they go out for food. One solution for this is teaming up with favourite foodie spots such as Social Pantry, to help us spread our key messages and show consumers just how delicious and appealing our speciality eggs are! What has been Heritage Breeds greatest achievement to date? As a brand, we want to work with the best chefs, restaurants, cafés and hotels across the UK who reflects the same qualities and values as us. 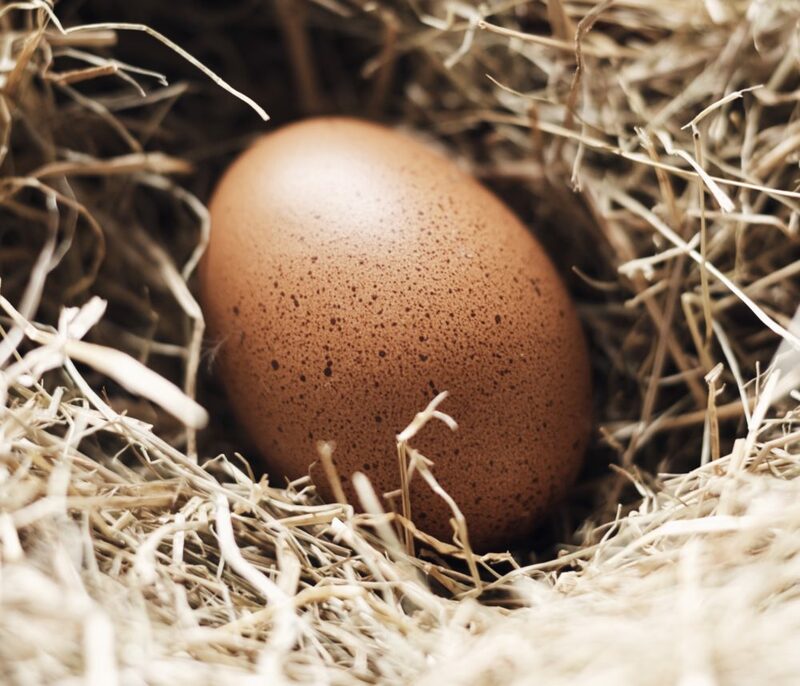 We are very proud to supply our speciality eggs to Michelin starred restaurants, premium hotel chains and London’s top foodie spots such as Social Pantry. For us, creating our foodservice ambassador club has been an integral element for our launch. Building a community of supporters is key to growth and development. What does the future have in store for Heritage Breeds? Our ambition is to become the go-to speciality egg brand in the UK. We want our consumers to recognise our name on brunch menus and chose speciality eggs over supermarket eggs. We are continuing to expand our collaborations with well-known foodservice venues as well as influential chefs such as Alex! We love a soft-boiled Royal Legbar served with grilled asparagus! What does a typical day at Heritage Breeds look like? 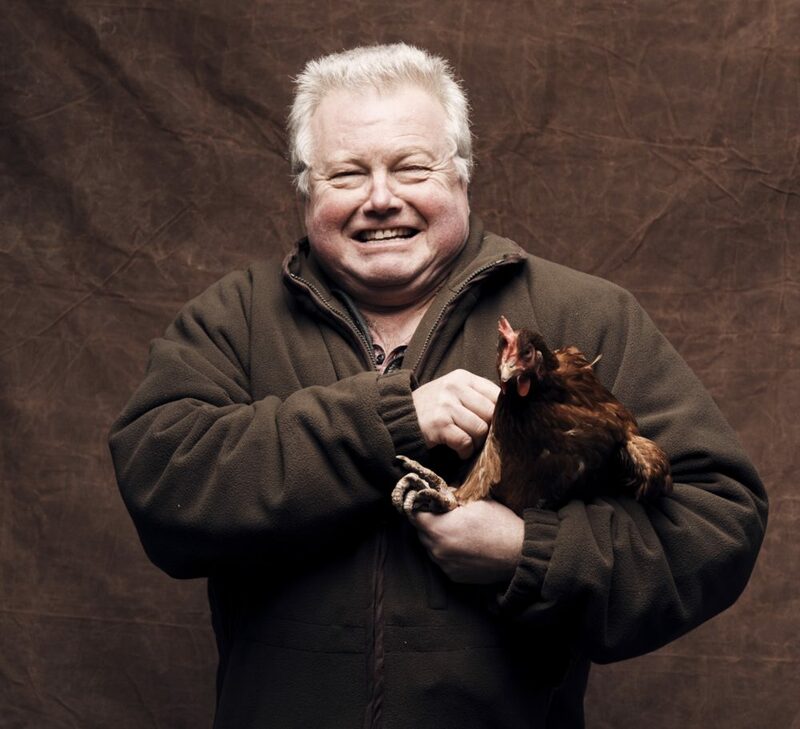 Meet Howard, one of our hen farmers – who we like to call our resident ‘Hen Whisperer’. The day starts off early with a morning check of the hens and their outdoor area to ensure they are all happy and had a good sleep. We then begin the egg collecting process which automatically gathers all the eggs from the laying pen. Howard and his wife will then sort every single egg all by hand. The eggs are then sent off to our packaging HQ where they are packaged up and sent off to our retailers and foodservice outlets! If we came to Heritage Breeds HQ for lunch, what sort of food would you serve? We love a good feast, so why should lunch be any different? Starter – Mini scotch eggs using our Speckled Quail eggs cooked soft-boiled. Mains – Korean food is the big food trend of 2018 and as we like to keep on top of trends at Heritage Breeds HQ, we’d whip up a Kimchi Egg and Rice Bowl served with greens. Pudding – Our favourite Chocolate Orange Hot Cross Bun pudding using our Gladys May’s white duck eggs.